From the start I have challenged the rise of “civilizational” discourse, which originates from the “clash of civilizations” paradigm introduced by Samuel Huntington, based on the idea that Muslims and Christians cannot live together simply because they are from two different civilizations. Civilization cannot simply be reduced to religions, it is much more of a material process related to urbanization, industrialization, etc. Look at what happened in Palestine. Israel killed more than 60 Palestinians and this shows there is no global justice. One of the reasons why there is more radicalization among Muslim-origin youths towards Islamism is the belief that there is no global justice. Right-wing populist parties are instrumentalizing the fear of refugees and fear of Islam for their own use. In our interviews in six countries with supporters of right-wing populist parties, we saw that they are not actually too hostile to refugees. Rather, they are hostile to settled migrants. In our research in different European countries we saw what Erdoğan signifies for many members of the Turkish-origin public. He is seen as the person who can heal the sources of their problems. What many see in the image of Erdoğan is a strong personality who can challenge European leaders. We don’t really see much radicalization among Turkish-origin youths in terms of jihadism. We see that more among members of the North African diaspora. I think one of the reasons for this is the Ottoman past. The Ottomans were never colonized, which gives them a difference in terms of their identification compared to North Africans. The misperception about Islamophobes in Europe is contributing to the rise of anti-Westernism among Turkish politicians, some of whom have started to suggest there is a “war between the crescent and the cross.” This is completely wrong; the war is between the rich and the poor, the center and the periphery. First I want to talk about tourism. I’m not a big fan. I did feel sorry for Turkey last year when the Russian government got the pip and told their citizens to stay on local icy beaches for the summer. I know hotels have been closing because governments in Europe (and New Zealand) have been scaring their people off visiting Turkey. Falling visitor numbers impacts on the local economy, and innocent people find themselves out of work. On the other hand, everything has a price – and floods of tourists undoubtedly have a negative effect on natural beauties and historical wonders. The ancient city of Ephesus in Turkey’s Aegean region suffers from the trampling feet of millions of visitors. New Zealand’s main attraction for tourists is its clean, green, unspoiled nature. Tourist numbers, however, are multiplying spectacularly, and now it seems, forest trails a tramper might once have trekked in peaceful solitude must now be shared with thousands of others. So I have mixed feelings on the subject. It does, however, annoy me when I receive yet another email from our Foreign Affairs people at the embassy in Ankara warning me of the terrorism danger in Turkey, and advising me to avoid unnecessary visits to the capital or Istanbul (where I happen to live). I would be interested to know what proportion of visitors to Turkey have been killed or injured in recent years, and to compare it with similar figures for New Zealand. I read an article recently citing statistics showing that more people died in the last year while taking a “selfie” than were killed by sharks. Just last year two old friends from New Zealand visited us and spent three weeks in the country. In the morning of 28 June we picked up a hire car from Istanbul’s Atatürk Airport – where that afternoon forty people died in a bomb attack. They flew out of the country on 14 July – the day before military officers staged an unsuccessful attempt to overthrow by force the elected government. What am I trying to say here? There are many ways to die, and most of them are less spectacular than a terrorist bombing. And whether it’s your day to go depends a lot on whether you’re in the wrong place at the wrong time. A young woman from Turkey died in New Zealand’s Christchurch earthquake in 2010 – one of 185 people from twenty countries who were certainly in the wrong place at the wrong time. 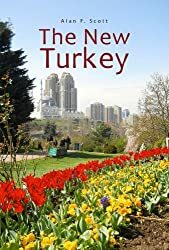 Nevertheless, tourists are flooding to New Zealand, and I never heard that Turkey’s Ministry of Foreign Affairs was advising citizens to avoid my country. I have read several articles warning about the dangers of taking selfies – but people carry on regardless. So I guess life will go on in Paris, Manchester and London. Locals will go to work and school, and tourists will still flock to the Louvre, Westminster Abbey and Etihad Stadium (home of Manchester City Football Club). The big problems, in my opinion, are the chattering news media, and governments playing political games. After the Manchester nightclub attack, my hometown daily, The New Zealand Herald, published an opinion piece by one James Harkin, said to be director of the Centre for Investigative Journalism and a reporter on Syria and the rise of Islamic State. Well, the article was originally printed in the UK’s Daily Mail, so that possibly leaves room for doubt about his actual commitment to “investigative journalism”. After serious investigation, Mr Harkin apparently arrived at the insightful conclusion that the bombers were targeting Ariana Grande’s “revealing stage outfits, her stockings, pink bunny ears and unabashed sexual confidence”. From his work in Syria and his studies of the Koran, Harkin has decided that Islamic extremists have no problem with western governments – their target is “Godless Western decadence” and “the values we all live by.” Do they include pink bunny ears, I wonder? Well, I’m sorry, Mr Harkin, but you’re wrong. If you haven’t learned the term Asymmetric warfare it’s time you did. It is defined as “war between belligerents whose relative military power differs significantly, or whose strategy or tactics differ significantly. This is typically a war between a standing, professional army and an insurgency or resistance movement.” In other words, George W Bush (and Margaret Thatcher before him) conclusively proved to all the world that confronting the military might of a technologically advanced Western power could only ever have one result. The Boers in South Africa, the Irish republicans, and a hundred other aggrieved, embattled but fiercely determined minority groups have shown that, in their desperation, they can inflict terrible damage. I don’t believe those Manchester bombers really wanted to “slaughter innocent little girls clutching pink balloons on a night out with their mothers at a pop concert”. They would prefer to hit the true war criminals who are hiding safely behind impenetrable layers of security. Unable to get at the political leaders, they commit random acts of terror with the aim of persuading ordinary citizens to pressure their own governments to stop the state terror they are inflicting on innocent people in faraway lands. Taking on the British Empire, 1865 – What odds would you give? Rachel the journalist just doesn’t get it. These people are not out to spread an ideology, though they must surely be fearless and desirous of killing as many as possible. They are fearless because they have lost hope. In the 1860s in New Zealand, a kind of religion emerged among Maori people on the East Coast. Known as Pai Marire, or sometimes Hauhauism, it was a mixture of Christian and traditional spiritual beliefs. Atrocities were certainly committed against white settlers by its adherents. When they ran into hopeless battle against government forces, warriors chanted a kind of prayer, Hapa, hapa, paimarire hau, which they believed gave them immunity from bullets. Did they really believe that? Were they really fearless? Did they really want to eat the eyeballs of their victims, as some reportedly did? I suspect not. They had lost their land; they were losing their culture, their language and their pride. In their own minds, what was there to live for? But they were angry too, and wanted to vent that anger. So they would take as many others with them as possible when they journeyed to the next world. Maori novelist Witi Ihımaera, in a short story exploring the issue of Maori pride and sense of loss, ended with the words “No wai te he?” “Who is to blame?” The old man in the story didn’t know the answer – but we, if we are honest, certainly do. More MOABs and drone strikes in the Middle East won’t end the terror.